My personal favorite here has to be this look. 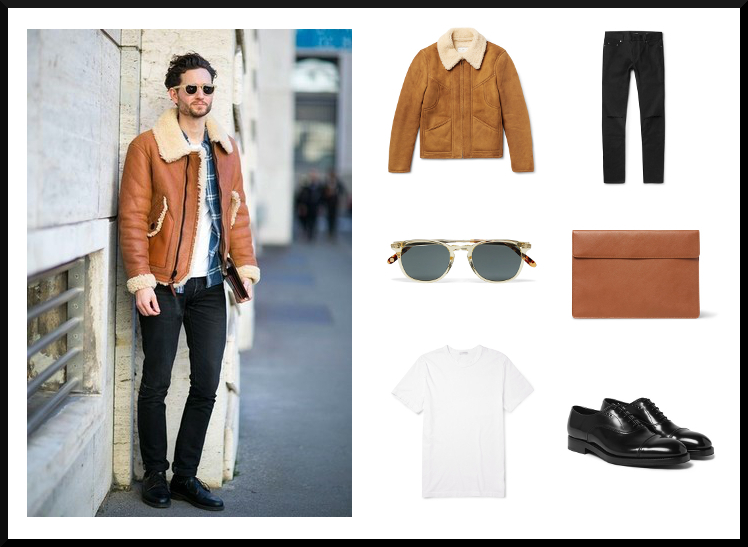 It screams style and is obvious to see you put a lot of thought into your look. If this is something your interested in trying then it's important to purchase a jacket with a little extra room in it. So you just love ties and always want to wear one. 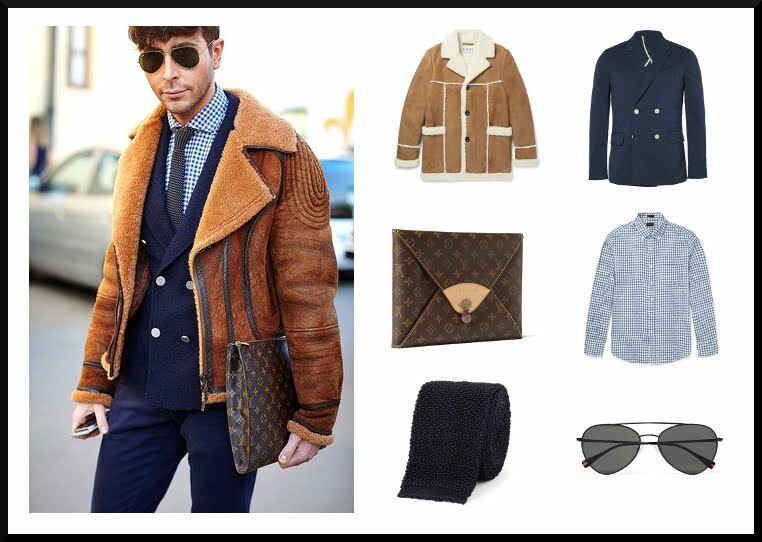 If you spend weekdays at the office then on days off try switching out your blazer for a shearling jacket. It'll feel good to try something new for a change. This is the most popular look of the bunch. I probably don't go a day without seeing this on the streets. It's clean, easy and stylish. Wear this when meeting with friends or shopping to look uber cool. The easiest look of them all. 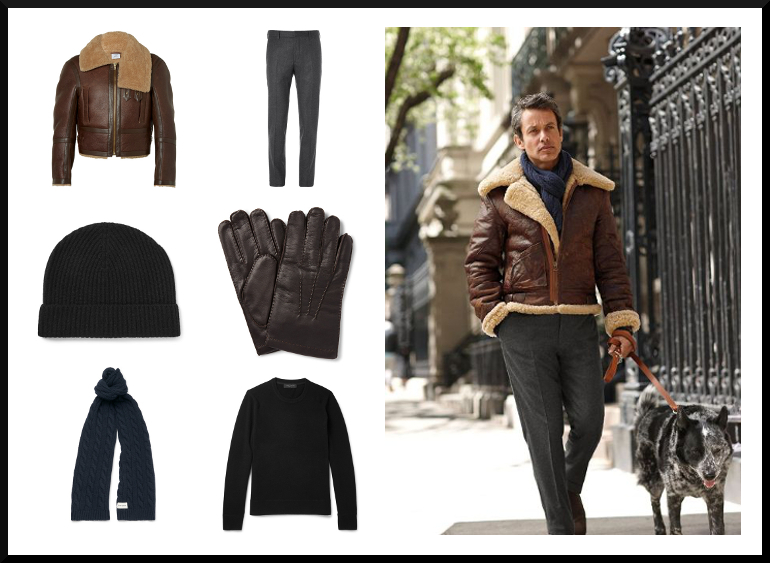 Wool trousers or dark denim with a crew neck or cable knit sweater and accessorize with warm weather pieces such as a scarf, gloves and knit hat. 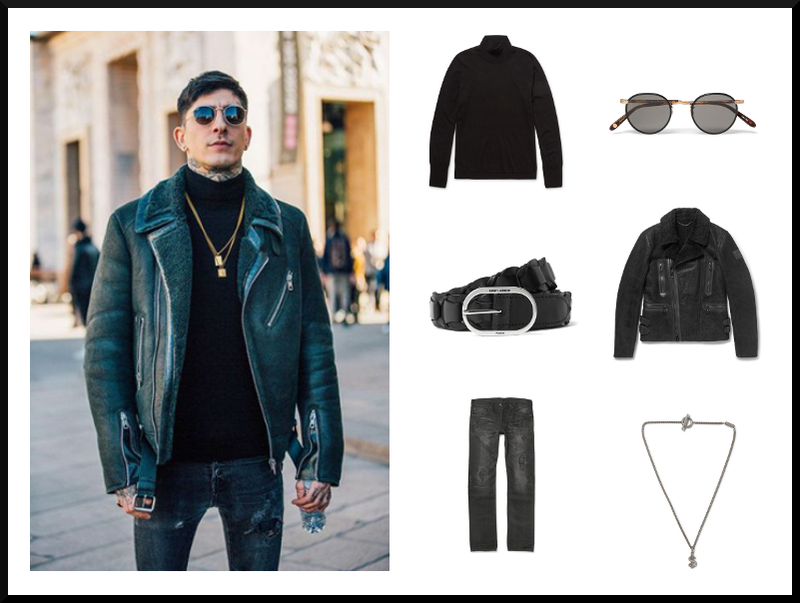 For the street style lovers out there, make this your new go to. Dark shearling jacket, dark jeans and turtleneck. Have fun with accessories and make the look your own. Shearling jackets are huge this year. I’ve seen them on the high streets, from luxury brands and everywhere in between. It makes sense because as with most clothing items from the 70’s they are now being reinvented for the modern gentlemen. Today most of them are cut slim to the body and end slightly below the waistline. 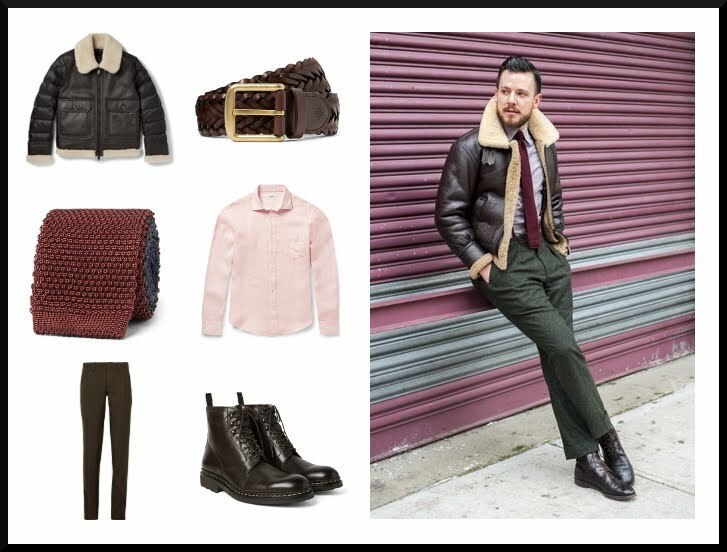 These jackets look amazing when worn casually but if styled properly can be worn over a suit or blazer.